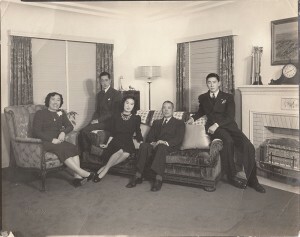 The Endo family in 1940. From left to right: Ume, Hideo, Yuriko, Heigoro, and Minoru. 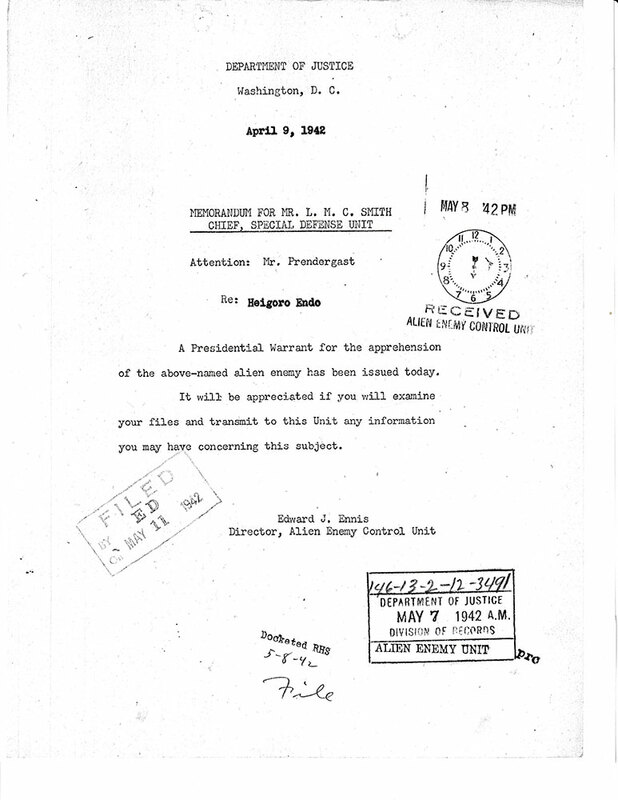 On March 30, 1942 , the Army’s Western Defense Command issued Civilian Exclusion Order 2. 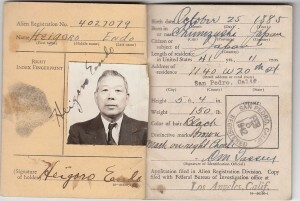 Individuals of Japanese descent in the Los Angeles Harbor area, including the Endo family of San Pedro, were given seven days to get ready to leave their homes for the Santa Anita detention center. This was part of the mass removal of Japanese from the West Coast under Executive Order 9066. But on April 1, the FBI arrested my grandfather, Heigoro. In this time of great crisis, his family had to prepare for their move without him. They were forced to quickly dispose of family and business possessions, which led to substantial financial losses. Heigoro was from the fishing village of Miho near Shimizu in Shizuoka Prefecture. He was the oldest of nine children and came to America in 1900 when he was 15, primarily to start a new life. He worked in Wyoming, Utah, and northern California as a railroad and agricultural laborer, houseboy, bartender, and store clerk. In 1914, he married Ume Awataguchi, a high school graduate from Yokohama. Over time, they had three children, Hideo (my father), Minoru, and Yuriko. Shortly after getting married, the Endos moved to Terminal Island where my grandfather became a crew member on sardine boats. The Endos were part of the large Issei fishing community known as “Fish Harbor.” Later, my grandfather operated his own tuna boat, a purse-seiner named the “Fortuna,” and moved to Wilmington, where catches of tuna were sold to the Coast Fisheries Cannery. Wilmington had a small Japanese fishing community. Still later, he went into the sportfishing business at White Point, San Pedro and his family moved to the Barton Hill neighborhood of that city. Heigoro was a pioneer in this line of work and his business prospered. In 1940, the Endo’s moved into a new home that was designed and built for them. My grandfather was involved with a variety of local Japanese community organizations. 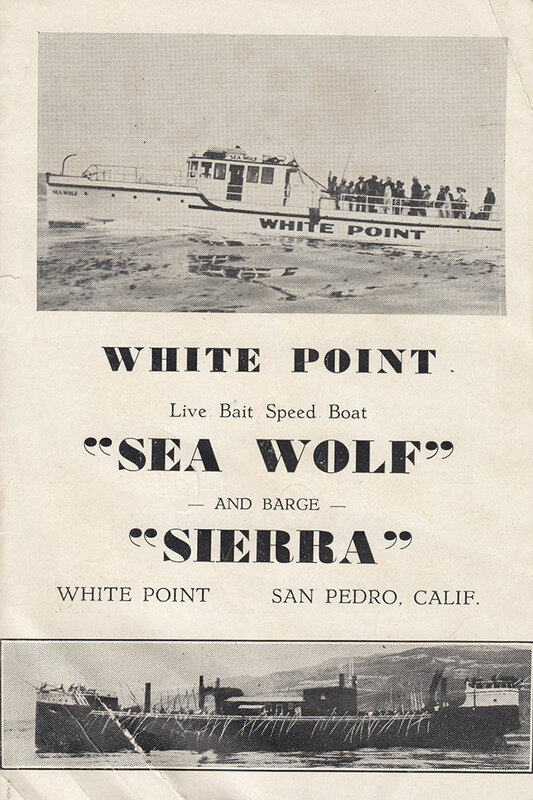 Front of a small card advertising Heigoro’s sportfishing business at White Point, San Pedro. 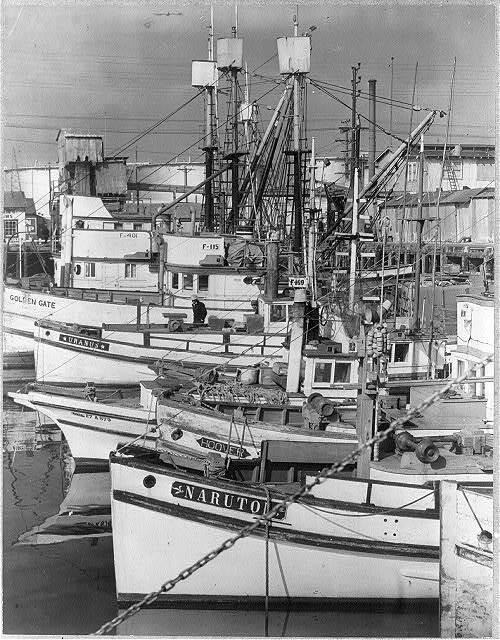 Japanese fishing boats, port of San Pedro, 1942. Heigoro’s tuna boat, the Fortuna, was similar to these. 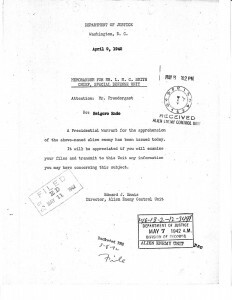 Notice of Presidential Warrant for Heigoro’s arrest, issued eight days after his arrest. For many days after Heigoro’s arrest, his family didn’t know what had happened to him. Later, my father, saved enough gas ration coupons to drive to Tuna Canyon. My grandfather was worried about the well-being of his family. He complained about the unfairness of his confinement but otherwise reported he was being treat well. Officer-in-Charge Merrill Scott happened to be a prewar friend of my grandfather. Under Department of Justice procedures to comply with the 1929 Geneva Convention, my grandfather, like all detained enemy aliens, was given a hearing. 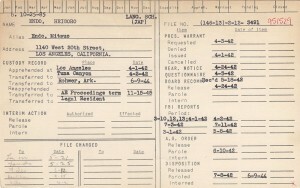 His hearing was at the Los Angeles Federal Building on April 24, 1942. The hearing board consisted of three civilians. My grandfather was not allowed to have legal counsel, and he was not told in advance of the specific charges against him or the purpose of the hearing. My father was able to attend the hearing, and his later recollections as told to me bring to mind the colloquial phrase “kangaroo court.” It seems clear to me that the purpose of the hearing was to justify my grandfather’s arrest and continued imprisonment. Accusations were made which were assumed to be true, and it was up to my grandfather to refute these. He was, in effect, presumed to be guilty of complicity with the Japanese enemy unless he could prove his innocence. Written material introduced at the hearing including seven affidavits and six personal letters from friends and business associates attesting to Heigoro’s high moral character, good reputation, and loyalty to the United States. These were never discussed. What was discussed at length was an FBI report prepared just after his arrest. The government’s case was presented by a special agent of the FBI and the regional U.S. Attorney. FBI report explaining the immediate reason for Heigoro’s arrest. He was part of a mass roundup of Japanese language school teachers, staff, and board members in Southern California. My grandfather was asked about his language school activities. 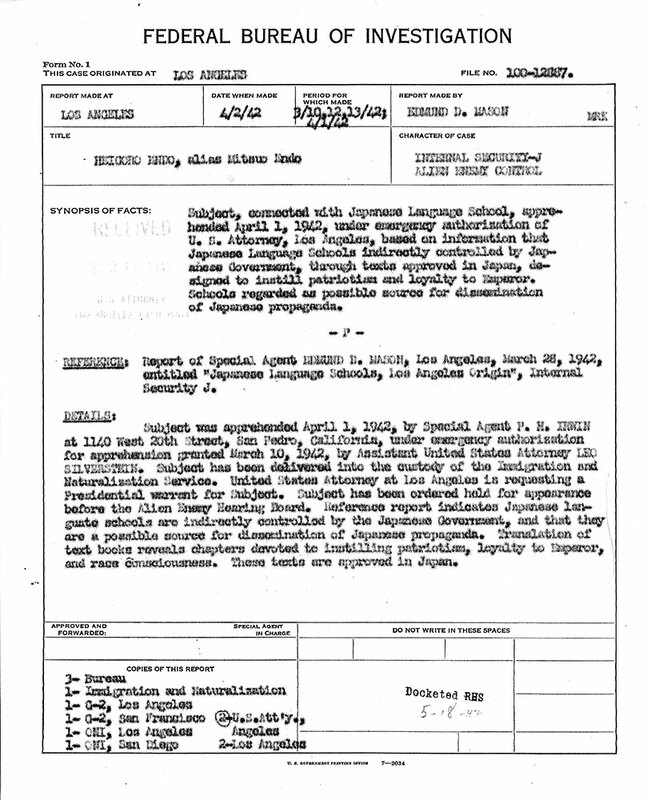 One FBI document states that these schools “…are directly controlled by the Japanese government and designed to instill patriotism and loyalty toward the Emperor, such schools being regarded as a possible means of disseminating Japanese propaganda.” He was asked about his fishing activities. 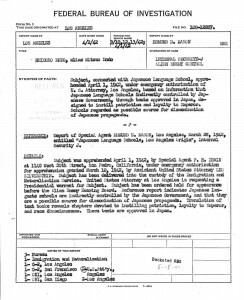 One FBI document points out that fishing boats “…are radio-equipped and while they [Issei] are at sea there is no method of preventing them from communicating with the enemy and actually rendering assistance to enemy submarines and other craft at sea.” My grandfather faced questions about monitoring U.S. Navy traffic in the Los Angeles Harbor area. All of the accusations were false. In a further attempt to show my grandfather’s support for the Japanese enemy, he was questioned about a visit to Japan (this was to see his dying mother), visits with Japanese Navy ships when they came to Los Angeles (this never happened), donations to associations that allegedly were used to support the Japanese military (small donations were made but my grandfather was unaware of their use). He was also asked some common hearing questions regarding loyalty, such as who he wanted to win the war (“the U.S.”), whether he was willing to let his sons fight for the United States (“yes”) and if he was opposed to the Japanese attack on Pearl Harbor (“yes”). One part of the FBI report stated that during the search of Heigoro’s house, contraband materials (cameras, guns, and a binocular) were found and seized. This was a blatant lie. My father pointed out that these items had been turned in to the San Pedro Police Department months earlier and was able to submit receipts verifying this. A day after the hearing, the FBI admitted making an “inadvertent mistake” in their original report. I suspect this turn of events contributed to the hearing board’s decision to release my grandfather. However, he was instead paroled to Santa Anita, a decision confirmed in letters from Attorney General Francis Biddle and FBI Director John Edgar Hoover. My grandfather was able to re-join his family at Santa Anita in early July. In October, all of the Endos were sent to the War Relocation Authority concentration camp at Jerome. 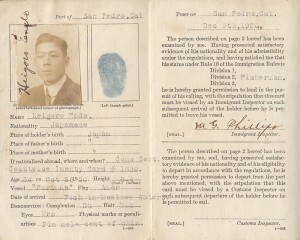 Japanese internee card. 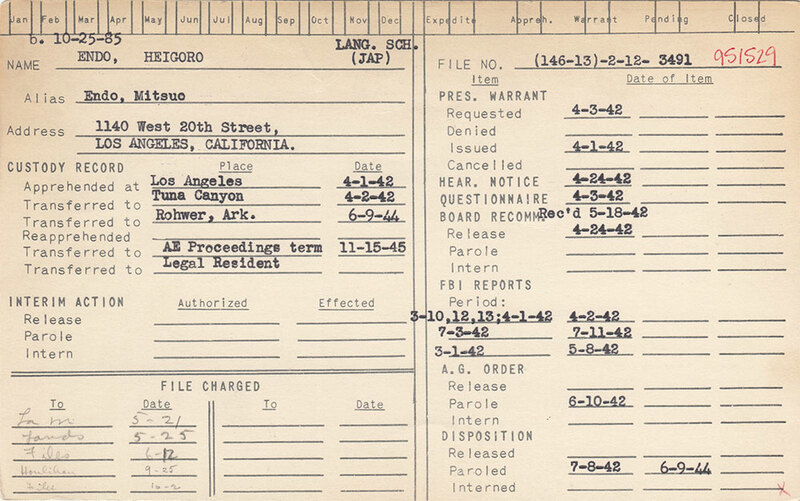 The Provost Marshall General kept such records on all Issei detainees/internees. My grandfather’s arrest and detention were completely unjustified. Besides violating his rights, this experience had other consequences. As was the case for many detainees, some people wondered why was he arrested by the FBI if he was innocent. 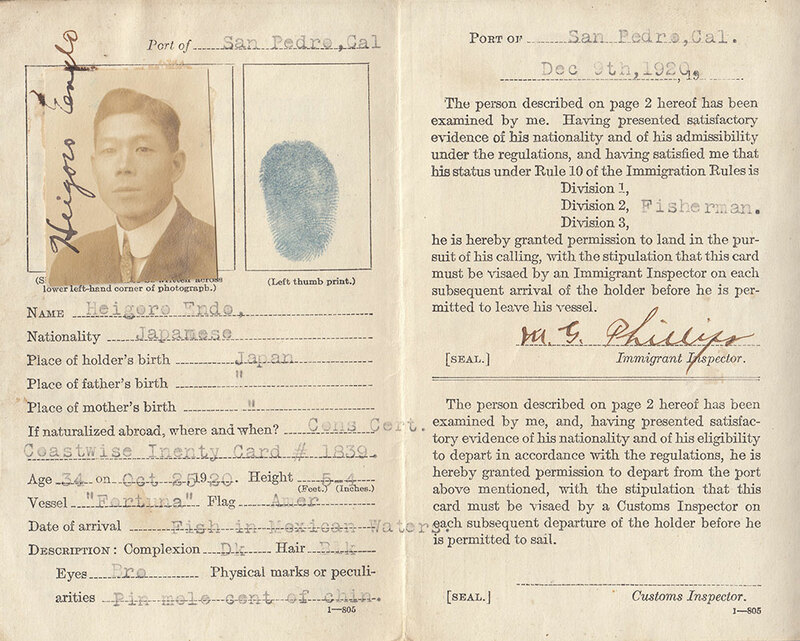 In 1948 under the Evacuation Claims Act, Heigoro filed a claim for wartime losses suffered because of the removal of his family from San Pedro. Years later, only two-thirds of the dollar amount was approved. An attorney’s letter suggests that one government concern was his 1942 arrest and detention. At the end of the war, my grandfather, like most Issei, was too old to regain his former economic status. 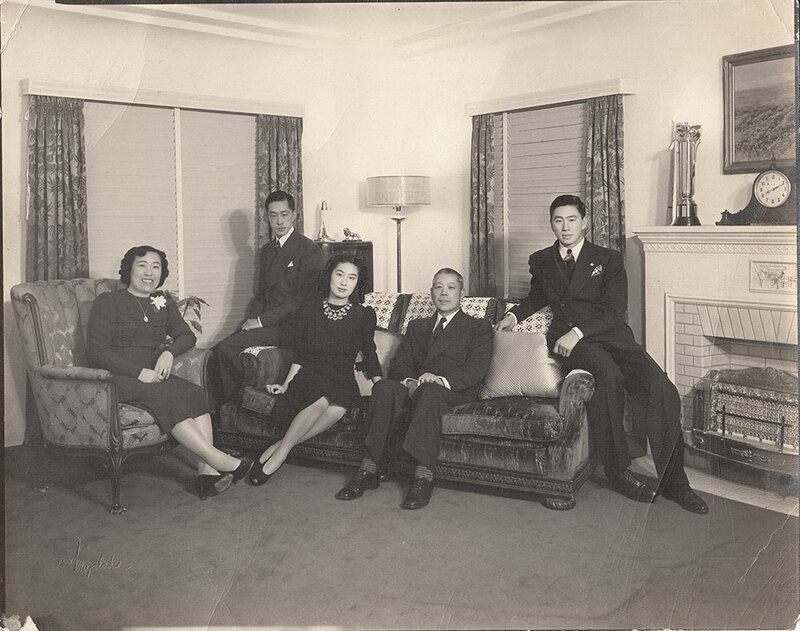 He spent several years as an apartment manager in the large Japanese resettlement community in Chicago and later moved back to Southern California. 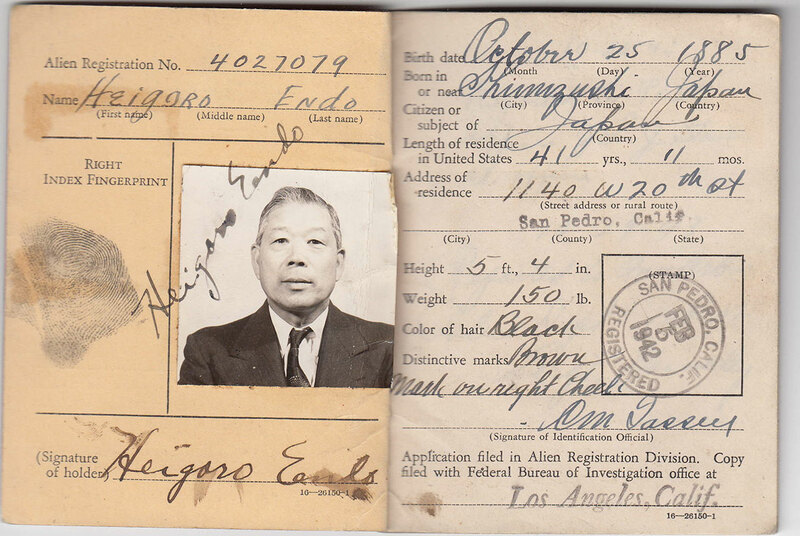 In 1947, he and my grandmother filed documents indicating their desire to become naturalized U.S. citizens. After the elimination of laws that had previously made this opportunity unavailable to Issei, they were granted citizenship eight years later. I have long known the outlines of my grandfather’s wartime story. From an early age, my parents talked about their World War II experiences and those of my grandparents. In 1952, my parents moved their family from Chicago back to California. The humid weather at Jerome created chronic respiratory problems for my mother and these were not helped by cold Chicago winters. After searching for a place with a healthful climate, my parents decided to live in Tujunga. I grew up within five miles of the former detention station, and in the mid-1950’s, my family made a specific visit to the site. So I had opportunities to learn lot when I was young. I regret not paying closer attention and not writing anything down. As an adult, I have belatedly begun to fill-in knowledge gaps. But the voices I most want to hear are now silent. Alien Seamen’s Identification Card. Alien fishermen were required to have this. This card allowed Heigoro to leave the port of San Pedro and to return after fishing in Mexican waters. Credit: The Endo family. Alien Registration Card. The 1940 Alien Registration Act, a national security measure, required all aliens to be registered. Credit: The Endo family. Russell Endo is a retired professor of sociology and Asian American studies at the University of Colorado and the grandson of a Tuna Canyon detainee.